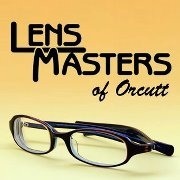 Lens Masters is a locally-owned optical store serving the needs of Orcutt, Santa Maria, Nipomo, Lompoc and Vandenberg Air Force Base. Twenty years of optical manufacturing combined with a state-of-the-art lab ensures that your prescription eyewear will be expertly and accurately crafted. Our extensive experience and service reputation along with our large selection of the latest frame styles means you'll not just be seeing better, you'll look great too. Lens Masters carries all the latest styles of high quality frames - from Titanium, Rimless, and HIP new plastics, we surely have a style that will suit all tastes. We also provide prescription and non-prescription eyeglasses in several popular brands.